We have officially slept a week in our new house! Surprisingly, we are pretty much all unpacked (the craft boxes will await until another day) and just about all situated. I have curtains to finish and a few more things to hang on the wall, but that’s it. I’m so thankful to have such awesome family – they painted, cleaned, moved, and helped unpack, so that we could have everything ready for when the baby decides to get here. 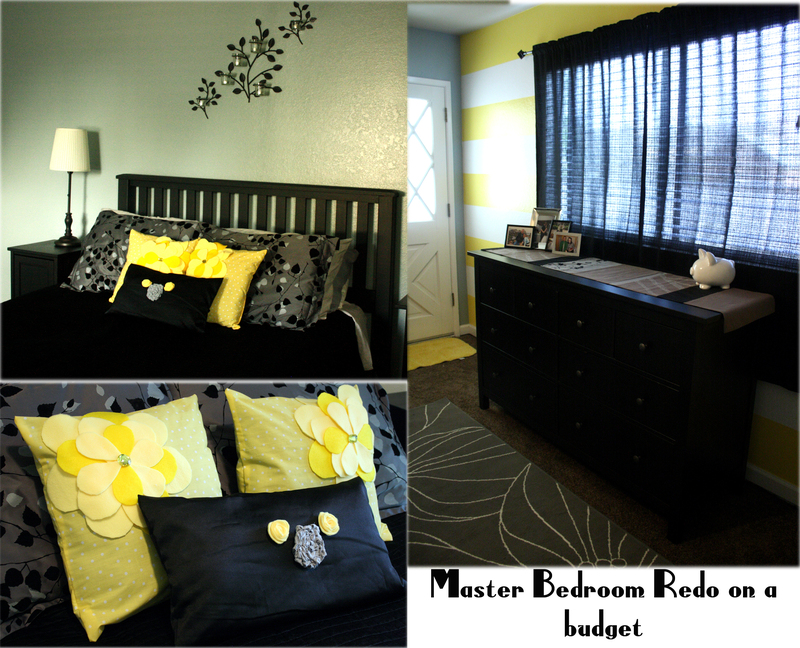 Marc indulged me with the ever-so-popular wall stripes and yellow, gray, and black bedroom motif. I love our new master bedroom! 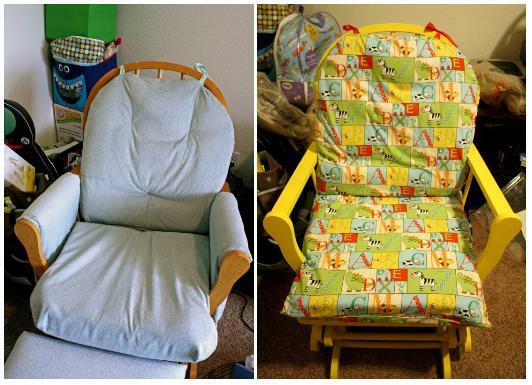 I bought a glider rocking chair and ottoman off of Craigslist the other day for $60. It was in pretty good condition, but I wanted to make it more colorful and match my imaginary, soon-to-be nursery. After reading a ton of blog posts about refinishing and painting furniture, I felt super confident that this would be easy enough to do. One of these days our house will finally close and then we can finally move in and get things ready for baby, but until then, I am left with crafting in the spare bedroom and on our small balcony. Hopefully Friday we can sign the final papers!